So you are planning to get married? While a premarital or prenuptial agreement (often called a “prenup”) may not sound like the most romantic thing in the world, I believe these agreements can actually make the marriage more likely to succeed. Money arguments are a leading cause of marital tension according to a 2015 study by SunTrust Bank. And a January article in Business Insider reported money arguments as one of the top indicators a marriage is headed to divorce. A prenuptial agreement forces the parties to literally get on the “same page” about money — addressing financial issues and coming to agreements. If you can do this, I believe, you have taken a critical step toward a healthier marriage. Usually, the party who is the higher breadwinner is the one who wants to protect that wealth with the prenuptial agreement. In fact, family and business colleagues may insist on such an agreement to protect their own financial stake in the marriage. I have seen these agreements make a divorce go far smoother and be more affordable than it would otherwise be — all issues already resolved. Definitely better than a drag-out fight over assets in the event of divorce. And with the current odds, no one can argue the good sense of preparing for something that, sadly, has a statistical likelihood of occurring, as much as we do not want to sell short any marriage. 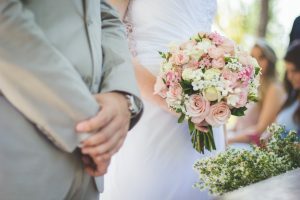 The other party, the one bringing less income or fewer assets into the marriage, may actually benefit by such agreements as well. For example, the agreement can assure some financial security and peace of mind in the event there is a divorce or even death. Again, I have seen these agreements protect a party from losing their stake in a home and their access to certain assets where the law otherwise might not have been as clear. Colorado law is clear that a premarital agreement must comply with many criteria in order to be enforceable. And, of course, you want the agreement to be enforceable. I have seen agreements prepared online that lack all critical components and led to more litigation. Do not cut corners up front; it’s far too risky! Disclose what you own and owe in order to illustrate that the agreement is made with full financial disclosure and without fraud. Ideally include a rider listing the assets, debt and perhaps even the incomes of both parties. The agreement must disclose that both parties had the ability to consult with an attorney. The best way to make this clear and ensure each party had the right to their own separate counsel is to list the name, address and bar number of the attorneys consulted. You may even want to have them approve the agreement “as to form” and sign it. If you are the monied party, make sure the other person finds their own attorney. — Giving up the right to be supported by the other person. — Giving up ownership and control of money and property. — Agreeing to pay bills and debts. — The right to have your legal fees paid, among other things. Because of the big risk of this agreement being set aside, I recommend having an attorney ensure it is written properly. People have tried to set premarital agreements claiming they were signed under duress. Have the agreement prepared in advance of the marriage with time to review and sign the agreement. It’s better to change an agreement into a post-marital agreement than to force it on someone the night before marriage or, worse, the day of, and then risk having it thrown out based on duress. The agreement must be in plain language. This is not a time for legalese. However, using words like “agreement” “duress” “representation” and “disclosures” is not, in my opinion, overly legal. These are lay terms. Make sure you understand every word and that your partner does too, looking up anything that is confusing and having it rewritten to be clear. ERISA and federal law override state law. Make sure you comply with federal and your own business’ requirements for disclosure. This may mean checking with human resources at your job. Get creative. I have seen couples really bond over and enjoy preparing these agreements. They know what they are getting into and that puts them well ahead of couples who are afraid to talk about money, only to find they disagreed all along. Want more information? Call me at 720-922-3880 for a free consult. I will happily explain how a premarital agreement can work for you.